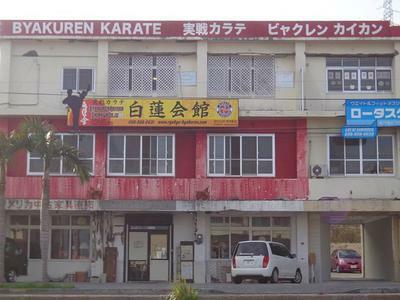 Applied Wing Chun Okinawa is the first and oldest certified Wing Chun Club on Okinawa, founded in August 2012. 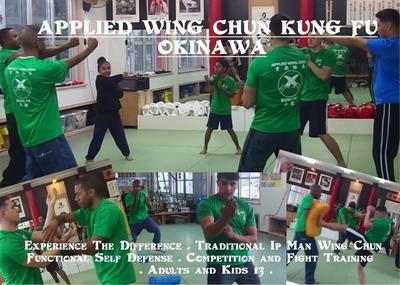 Applied Wing Chun Okinawa offers training in functional martial arts for self defense and overall fitness. Our curriculum is 100% authentic Wing Chun Kung Fu as passed down from Grandmaster Ip Man through his disciple SiGung Duncan Leung, classmate of Bruce Lee and founder of Applied Wing Chun. What's the difference between Applied Wing Chun and other versions of Wing Chun? In simplest terms, Applied Wing Chun teaches students the ability to fight with Wing Chun. Some other lineages of Wing Chun teach the basic forms and drills, but students never learn to fight with it. Hence they must incorporate other martial arts to supplement their Wing Chun if they expect to succeed in a fight. Applied Wing Chun relies on understanding the theories and concepts in the movements; not just learning a collection of techniques, but not understanding how they work. The drills are functional. In a fight, no one will punch at you and leave their arm out for you to apply some fancy slap boxing or some lengthy complicated maneuver. We train realistically and start by building the basics. Over time, students learn to be able to apply their skills naturally without thinking about it.